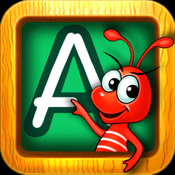 ** 9 Games play, tap, trace, match and print with A-Z, a-z and 0-10. ** Each letter and number displayed and gamed with Cute Animal Circus. ** Print and customize with cute and unique Letters, Numbers and Papers. 4.PLAY: Play 63 wonderful circuses after write it and you can choose “TRACE”, “WRITE” or “SHOW” by yourself. 1 A-Z all 26 uppercase alphabets show, trace and write with 26 cute animal circus. 2 a-z all 26 lowercase alphabets display, tap, trace and write with 26 circus. 3 0-10 all 11 numbers tap, trace and write with 11 animal circus. 4 Identify letters with Canon circus game. 5 Find numbers in bubbles popped by cute Clown. 6 Match the uppercase letters with lowercase letters. 7 Match the animals with correct numbers. 8 Magic ABC song show. 9 Customize and Print your letters and numbers Worksheets. ABC Circus! The Circus Supreme!